I don't care that the kids are back in school, that the leaves are starting to change (just a littlelittle bit) that Halloween candy has taken over the Back-to-School shelves. The summer got away from me and I didn't do anything summery. Really. I did not go to the beach, have a honest-to-goodness romantic fling, go swimming or even do much day drinking on the front porch. The only summer-like thing I've done, of which I am proud, is read. I managed to go to the public library and pick up a few bestsellers and read to my heart's content. 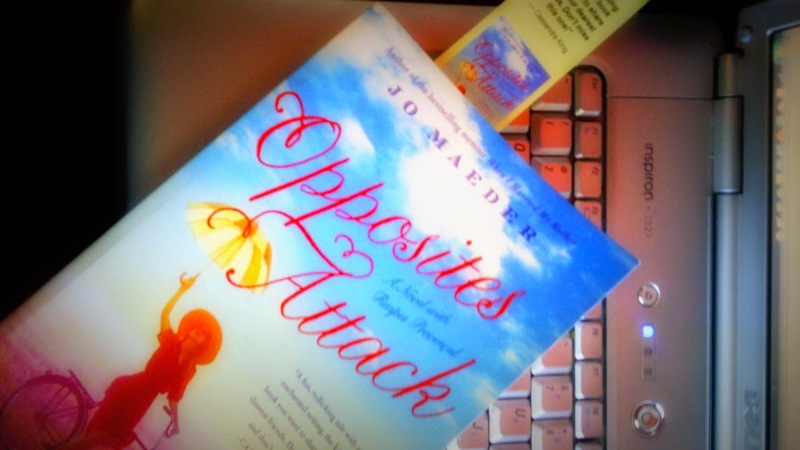 Back in the Spring, local author and my foodie friend, Jo Maeder gifted me a copy of her latest book, Opposites Attack. I kicked off my summer reading with this! It's a romantic comedic novel about a nearly 30-something human girl person, Alyce, who travels to the South of France to put her love life on hold, immerse herself in a new culture, a new language and unbeknownst to her, to find herself. Along the way, she is embraced by an unexpected cast of characters and finds refinement and finesse through cooking. Alyce is forced to choose between what she thought she wanted and something totally different. The novel is a great read that had me lol'ing for real and gasping aloud at the many unexpected plot twists and turns. Not wanting the story to end, it didn't have to with the handful of authentic recipes printed in the back of the book, inspired by provencial France. 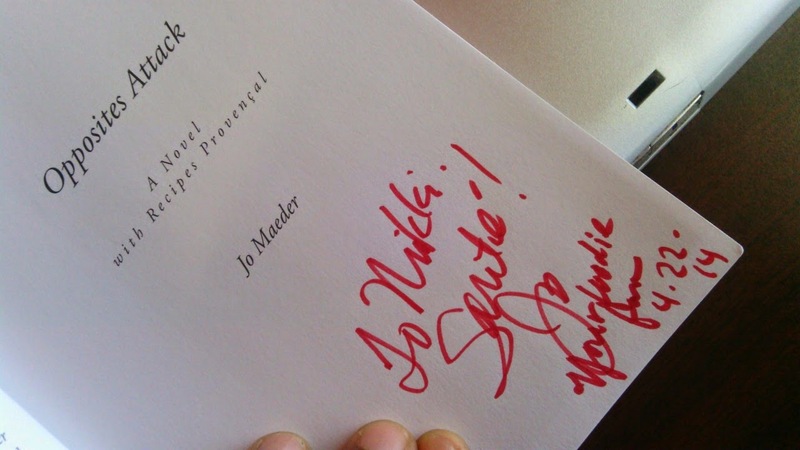 For my local friends and readers: Jo Maeder will be at Scuppernong Books in Greensboro, N.C. on Wednesday, October 15 from 6:00 to 8:00 PM for book signings and general literary frivolity. If you purchase a copy of the book, you can receive an Amazon Kindle edition for only 99¢! I am always looking for that next book and now I have it! Thanks! I absolutely love to read. I only wish I had more time to do it! I needed a good book to finish out the last few warm days before Fall sets in. Thanks for the recommendation! I"m always looking for book suggestions! I didn't do many summery things either this summer. No beach, swimming once (and it was in FL! ), too little day drinking. Ah, why does it have to go so quickly?! I wish I would have got more reading done this summer. Time just slipped away and things were always so busy. This looks like a good book. I love to read why others liked a book. Thanks for the rec. I didn't read as much as I'd hoped this summer either, but I'm always on the look out for something engaging to read. For 99 cents, I'll definitely have to pop this one on the Kindle!